Welcome to the GCR Pod, a new podcast from the reporters and editors of Global Competition Review. GCR Pod host Ron Knox and other members of our editorial team will break down the most important news and developments in the antitrust world, based on our in-depth reporting and research from around the globe. We’ll tackle the hot topics, and dig deep on developments from conferences, courtrooms and countries worldwide. The podcast will also include interviews with newsmakers on the front lines of competition policy and casework. Thoughts on the podcast? Suggestions for future guests? Send them along to GCRpod@globalcompetitionreview.com. 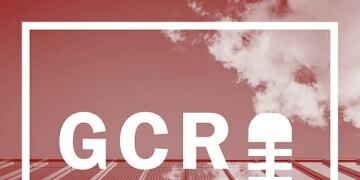 In this episode of the GCR pod, GCR London reporter Hettie O'Brien sits down with University of Melbourne professor Wendy Ng to discuss her award-winning paper on the inner workings and enforcement efforts of China's competition enforcement agencies. In this episode of the GCR Pod, GCR USA senior reporter Charles McConnell talks with Alexandre Cordeiro Macedo, the new superintendent of Brazil's Council for Economic Defence, or CADE. Cordeiro discusses his vision for the agency, its pending cases and his plans to take on monopoly conduct in the country. 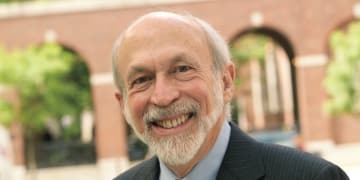 In this episode of the GCR Pod, GCR USA reporter Kate Haake talks with NYU antitrust professor Harry First about the ATT/Time Warner deal, the possibility for new vertical merger guidelines and the need for new US antitrust laws. Welcome to the GCR Pod, a new podcast from the reporters and editors of Global Competition Review. Twice a month, GCR Pod host Ron Knox and other members of our editorial team will break down the most important news and developments in the antitrust world, based on our in-depth reporting and research from around the globe. We’ll tackle the hot topics, and dig deep on developments from conferences, courtrooms and countries worldwide. The podcast will also include interviews with newsmakers on the front lines of competition policy and casework. In this first episode of the pod, we interview Bill Baer, a partner at Arnold & Porter Kaye Scholer and the former head of the US Department of Justice’s antitrust division. We talk to Baer about the revolving door in US antitrust, monopoly enforcement during the Obama era and the Democrat’s new anti-monopoly platform. Thoughts on the podcast? Suggestions for future guests? Send them along to GCRpod@globalcompetitionreview.com.